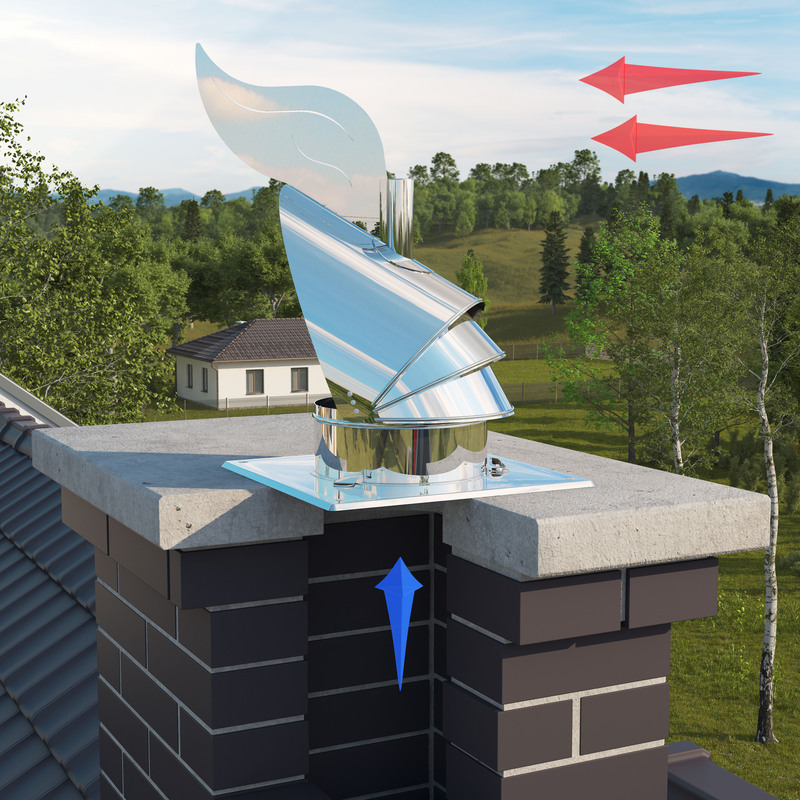 Chimney cowls are designed to stabilize and increase chimney draft in ventilation and smoke ducts. They are to be mounted on gravitation based ventilation chimney duct endings. Cowls designed especially for smoke ducts – the unique construction makes it extremely durable against temperature. Thanks to the special, patented, rotating system with ball bearings placed outside the cap, it can withstand the very high temperatures that occur when using a wood or coal burning stoves. 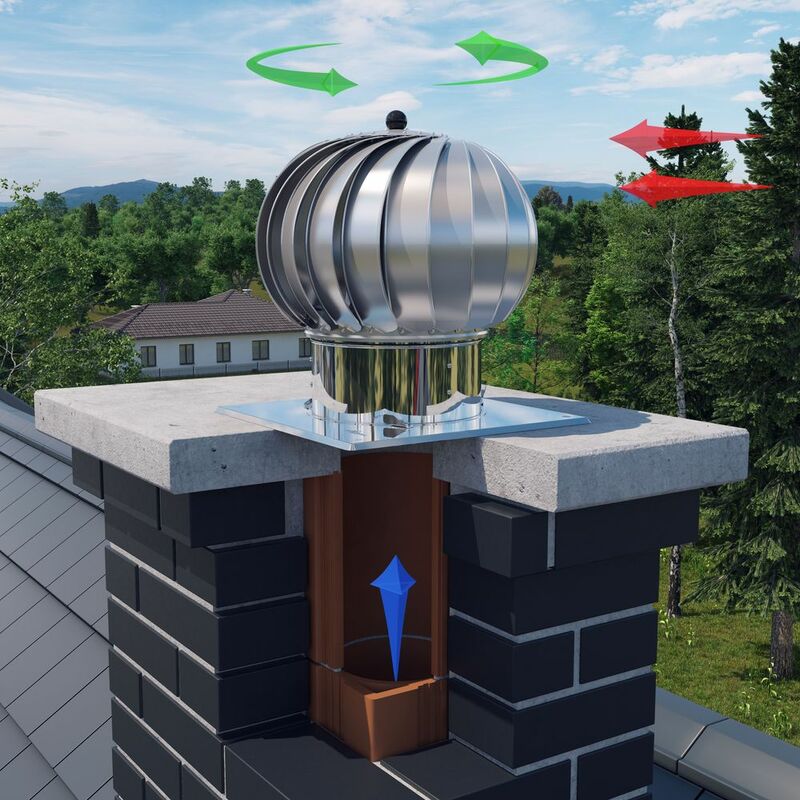 How to choose the right chimney cowl? Depending on the type of your chimney, select either a flat base version or a inlet pipe version. The one with a flat square base, is suitable for flat chimneys, while the inlet pipe version is for installation on existing chimney liners. Measure the chimney diameter and select the matching product. Check product dimensions sheet. In case of doubt, do not hesitate to contact us. Our goal is to make our product suit Your needs in the most comprehensive way, that is why every detail is well thought over. The technique, research and development crew is has worked hard to design the products, their functioning parameters as well as producing technologies. Our highly qualified and professional research and development staff works with the use of 3D CAD software. Innovation is the company’s priority - every year at least one new product line is being launched. All new products, before their launch on the market, are tested in the factory and in the laboratories of University of Technology in Rzeszow. Sometimes these tests may take 2 or 3 years. All products have valid certificates or are CE marked. Most of the specialised solutions are patented and the trademarks copyrighted.